Ever thought what’s an interviewer’s favorite questions to rip you off – all of my previous post :). 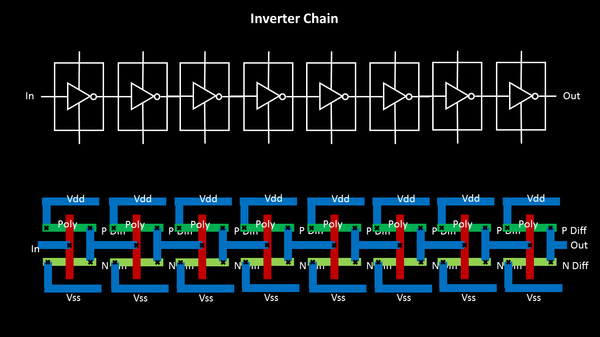 And On-Chip Variation (OCV) is one of them, specifically for Static Timing Analysis interview. This analysis is coming from people who got interviewed and recruited into leading VLSI industries. Most importantly, my posts and videos have helped most of them and I really feel proud about it. Nice feeling. 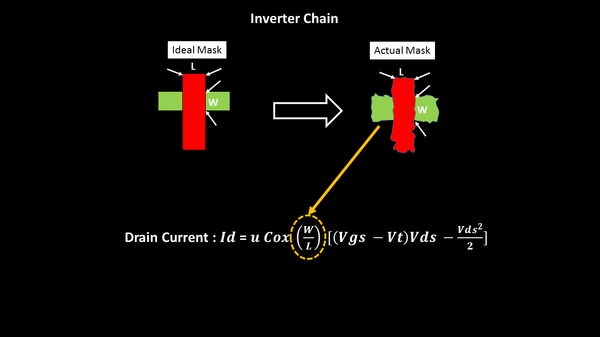 Coming back to analyze OCV, the first task is to find all possible sources variation, and find out how these can affect a delay of a cell and hence, timing. We use photo-lithography fabrication technique to build the inverters on Silicon wafer, and this is a non-ideal process, where the edges will not exactly be straight lines, but there will be disturbances. 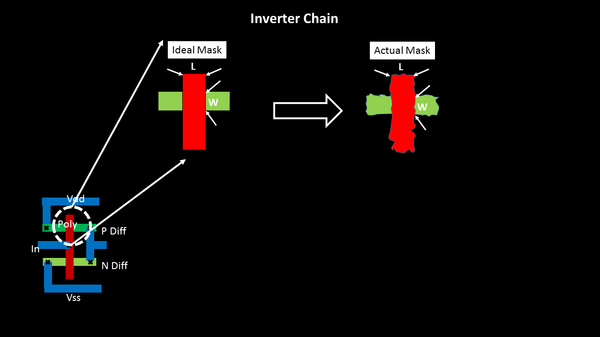 Now these variations on the sides, is also dependent on what logic cell is present on either sides of this inverter, if its surrounded by chain of inverters on either sides, the variation on the sides will be less as the process parameters to build mask for a chain of similar size inverter, is almost the same. 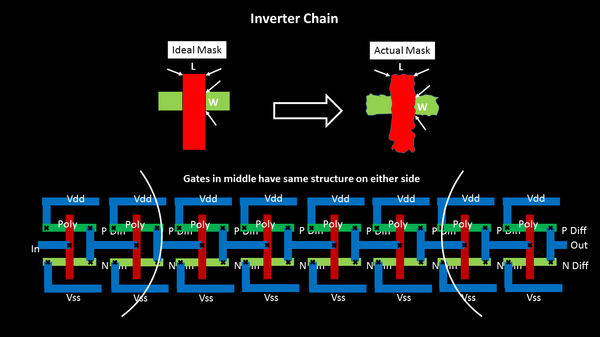 But, if the inverters are surrounded by other gates, like flip-flops, then the variation will be more. You feel, we are almost there…. not yet….we need to identify other sources of variation, find out how the current changes, and eventually, find out a range on what should be the value of OCV…. After this, do you feel, we are done …. not yet …. 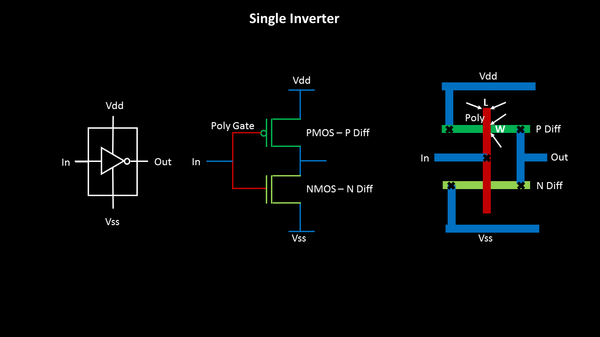 :), we need to use these OCV values, plug it in STA analysis and see its (+ve or -ve) impact…. So, we will be never done :)… Stay Young .. Keep Learning … Look for my following post on OCV !! But not able to open e book from your website. error: mail function not instantiated. Can you please have a look at below links? Please check your email, send the eBook.